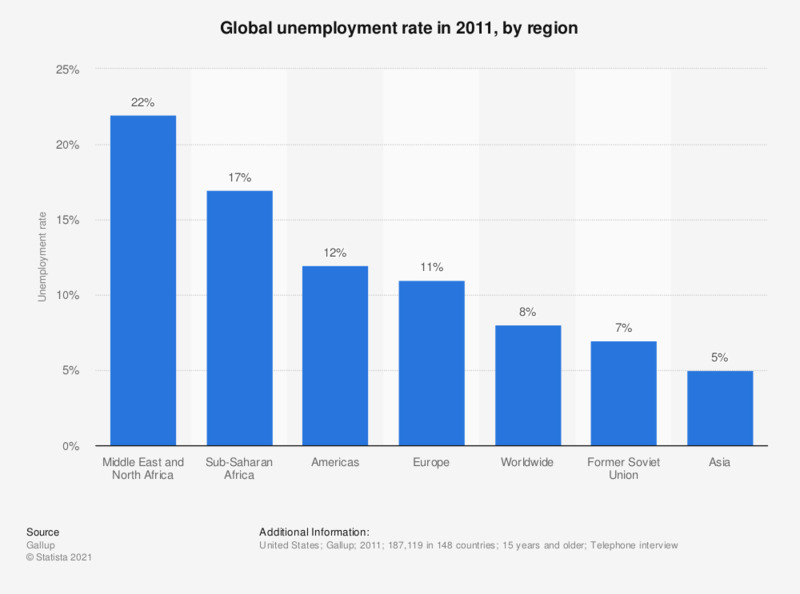 This statistic shows the global unemployment rate in 2011, by region. In 2011, the worldwide unemployment rate was at 8 percent. Unemployment in Europe was at 11 percent.